Guesting at 12 Kits of Occasions! Hey friends! April has been a fun and exciting month for me and I'm ending it with a turn as the guest designer for the 12 Kits of Occasions! I was so surprised and excited when Lisa (one of the 12 Kits design team members) contacted me about being her guest this month. Obviously I said yes, lol! 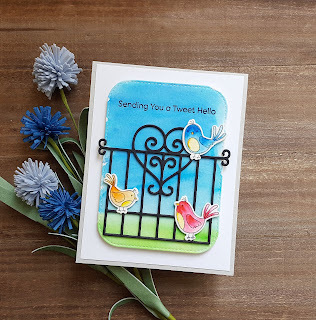 Lisa's kit (called My Little Chickadee) is full of super sweet images of birds and flowers. 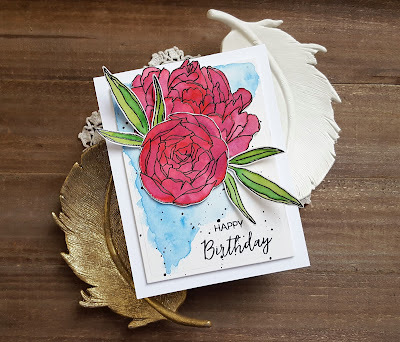 It was so fun working with it to create the cards that I'm sharing today. One of the pieces that jumped out at me when I checked out the kit contents was the circular piece that had the sentiment "and I think to myself what a wonderful world" on it. 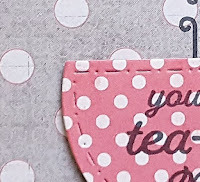 I paired the sentiment up with the die cut tag (PTI's Tag Sale 4). Some little wood veneer birds were included in the kit and I adhered one to the tag and then adhered my tag to a piece of the paper Lisa included that I die cut with an A Jillian Vance Design Stitched Dot rectangle die. I finished off the card with some cream paper twine. 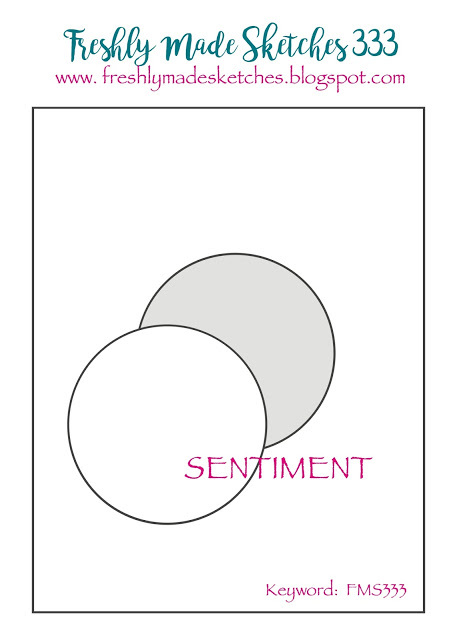 The second card I made uses another circular sentiment from the kit. This time I adhered the vellum circle to one of the stamped pieces that Lisa provided in the kit. I trimmed it down and matted it with cardstock from the kit. 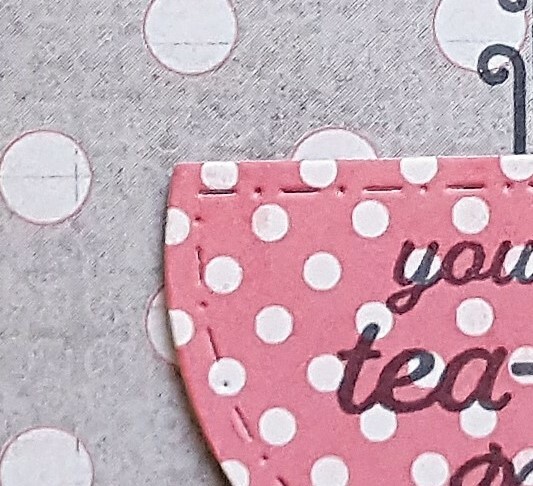 Some vellum from the kit was trimmed down and adhered to patterned paper that was die cut with the Stitched Dot rectangle die. 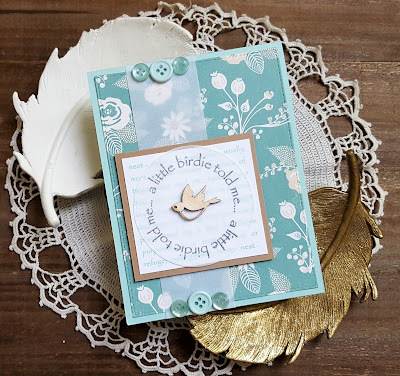 The sentiment piece was adhered and then I added a little wood veneer bird to the center and aqua buttons (from PTI) to the top and bottom of the vellum strip. 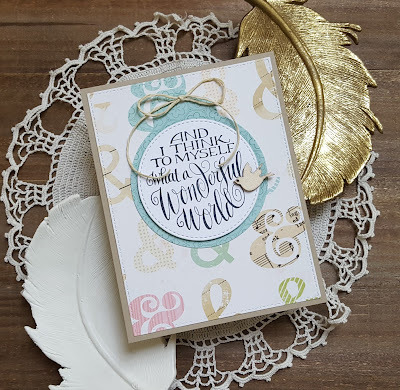 I used another sentiment from the kit that I die cut with an AJVD Polka Dot Circle die and matted with an AJVD Stitched Scalloped Circle die. That was adhered to the inside of the card, but I wasn't able to get a good photo of it. 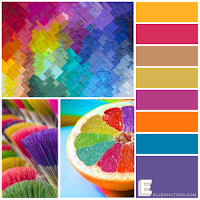 I want to thank Lisa, again, for asking me to be a guest designer this month! I thoroughly enjoyed her kit and have lots left over to make several more cards! Happy weekend everyone! 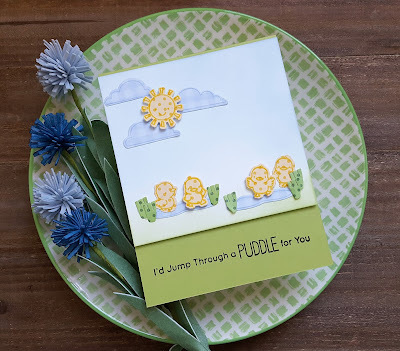 Popping in with a card that I made using supplies from the Simon Says Stamp Kind Heart card kit. Love the fun puffy stickers from Pinkfresh Studio that are part of the kit. I combined some of those stickers with the stamp sets that are also in the kit for my card. 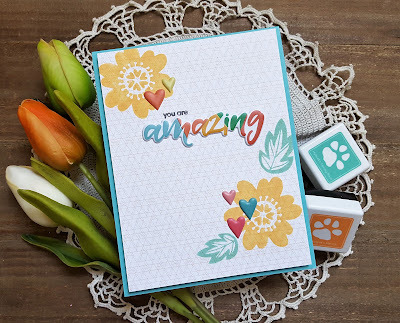 I stamped the flowers and leaves using the two little ink cubes that are in the kit to stamp on some of the Pinkfresh Studio pattern paper and then added the sentiment (part of one of the sentiments from the small stamp set in the kit) and then added the puffy word amazing. A few of the puffy hearts were added and then I adhered the panel to a cardstock base made from cardstock from the kit. Super simple. 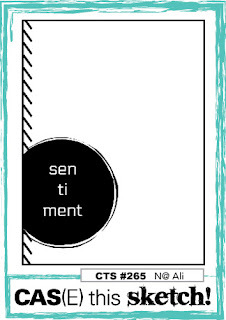 Adding this to the CAS(E) This Sketch link up and the Simon Says Stamp Wednesday challenge link up. 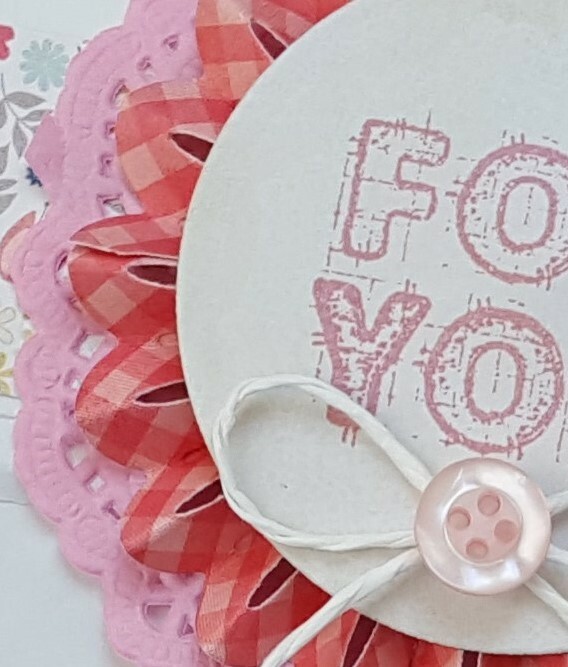 Hope you will head over to the Precious Remembrance Shop blog to see the full project and to let me know what you think. Hey there! (If you want to see my AJVD post, please click here.) 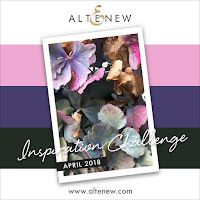 Today is the 25th of the month and that means it is time for the PTI blog hop. 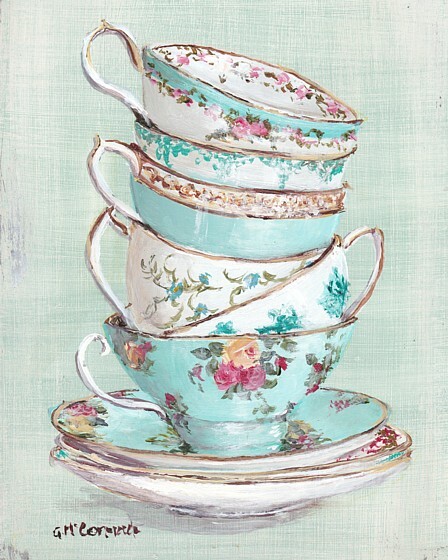 The photo boasts a stack of delicate tea cups and the first thing I thought of when I saw it was Pride and Prejudice which then led me to think of PTI's Simply Jane stamp set. I combined that set with the Sweet Life stamp set to create my card. 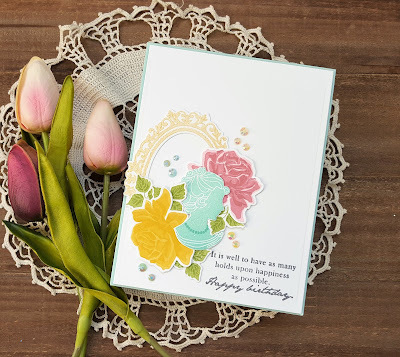 I pulled colors from the tea cups (aqua, pink, dark pink, yellow, green) and stamped various die cuts from Simply Jane and Sweet Life using those colors. I spotted some gold on the rims of the tea cups and so I stamped the frame from Simply Jane using Delicata Golden Glitz ink. Once I had all my pieces completed it was time to arrange everything on a panel of white cardstock that I had die cut with an AJVD rectangle die and stamped with the sentiment from Simply Jane using VersaFine CLAIR ink in Morning Mist. After everything was adhered I added some Pretty Pink Posh jewels in Buttercream and Aquamarine for a bit of sparkle. Adding this to the Simon Says Stamp Wednesday challenge of anything goes. I hope you will head over to the AJVD blog to see the whole card and to let me know what you think. Have a wonderful day! Hey there!! Hope your week is off to a good start! I'm starting mine with a couple of cards that are very different. 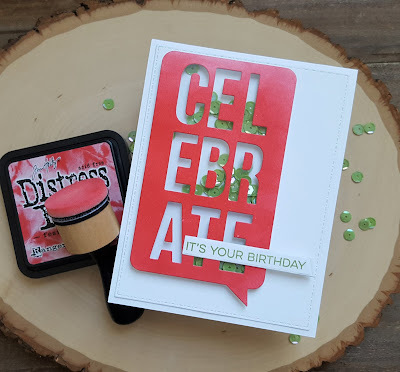 First up is a card for the soon to be closing Color Throwdown challenge, as well as the MFT Birthday Project challenge... shakers. I finally got my hands on the MFT Celebrate Speech Bubble Die-namics and I used that to create my shaker element. I inked up some cardstock with Ranger Distress ink in Festive Berries. 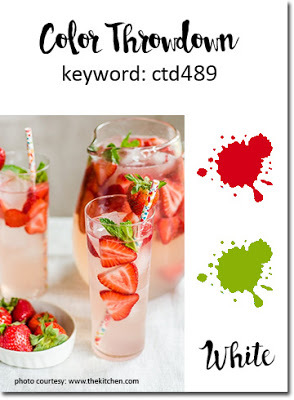 I could have used red cardstock, but I wanted to create the look of a strawberry and so needed some variation in the color. When that was done I die cut the piece with the die and adhered a piece of acetate to the back. I put the letters B, R and A back into the die cut so I could make sure that I glued the little pieces from each letter into the right spot. Once they were glued in a carefully removed the letters. Then I built my shaker element and added green sequins. I adhered a thin piece of white cardstock to the back and then adhered the shaker element to a die cut panel of white cardstock. 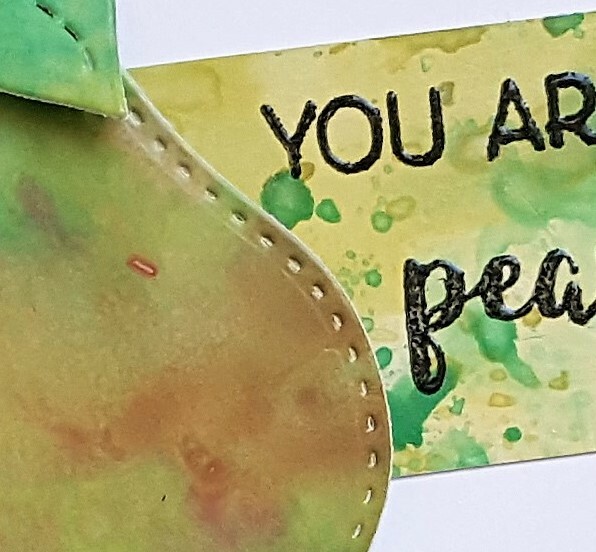 The sentiment is from All Smiles and was stamped in a green ink similar to the sequins, die cut with the MFT Slanted Sentiments Die-namics and then adhered. 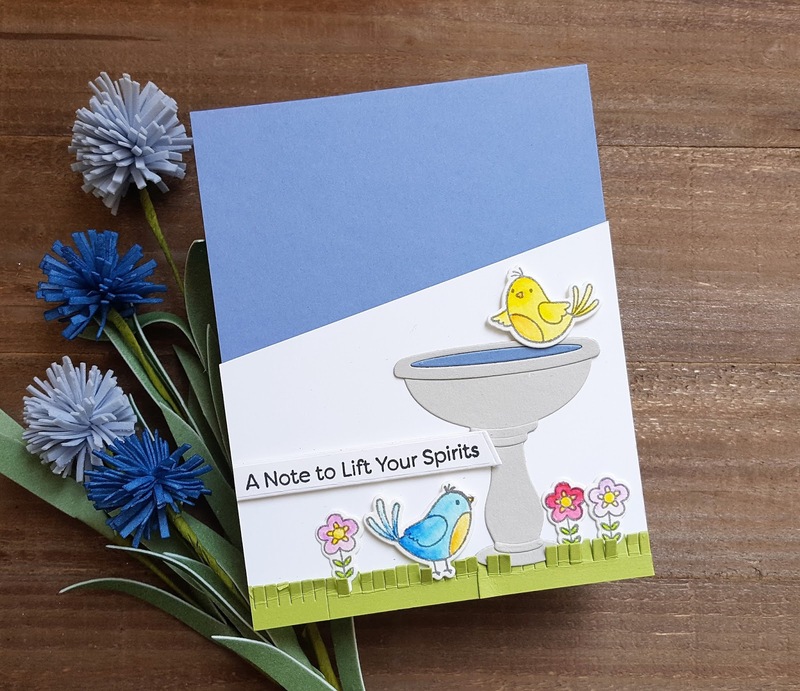 My second card is very different from the first one which is pretty darn clean and simple! 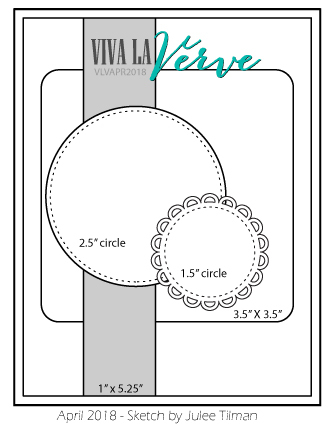 This one has lots of patterned paper on it and was made for the current Verve Viva La Verve sketch challenge, as well as the Verve Diva Dare. I was fortunate and won the beautiful Verve Risen Savior stamp set and I just had to use it for my card. I recently purchased a couple more VersaFine CLAIR inks and used the one called Golden Meadown. 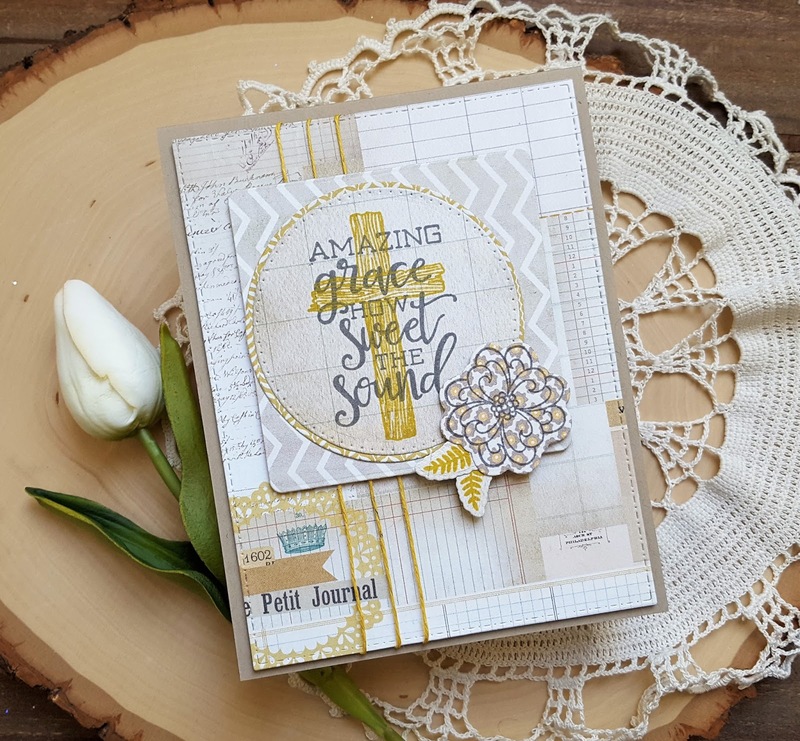 I stamped the cross in the Golden Meadow on some patterned paper from My Mind's Eye, over stamped the sentiment in VersaFine CLAIR Morning Mist and then die cut it with an AJVD Polka Dot circle die. Coordinating paper was die cut with an AJVD plain circle die and the two were matted. I used more paper from the same pad for the main rectangle, as well as the square element. That was die cut with a Reverse Confetti die. I wrapped a yellow twine around the main panel three times and secured it in back with tape and then layered on all the elements. 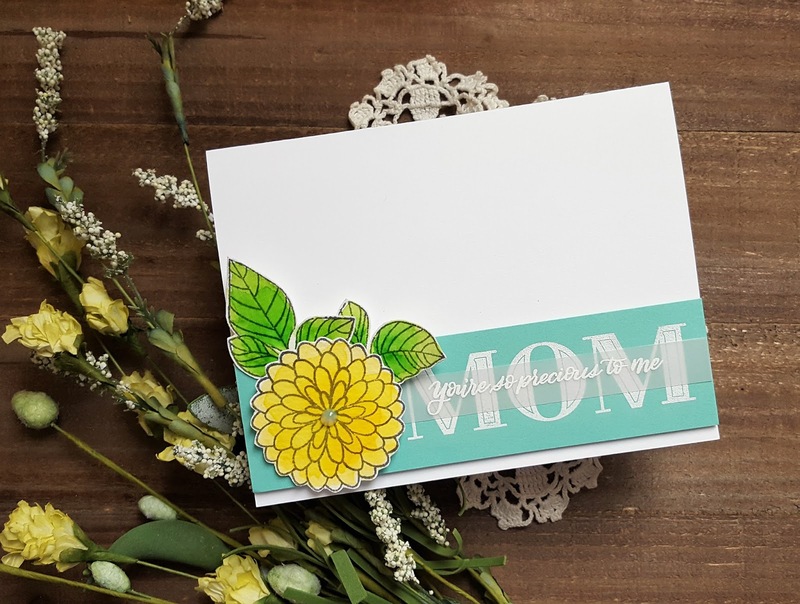 The flower and leaves are from the Verve set Bloom Brighter and were stamped in the Golden Meadow and Morning Mist inks. The finished panel was adhered to a light kraft cardstock base. Hello! I'm popping in with a couple of cards that I made over the last few days. I did some watercoloring on both cards. 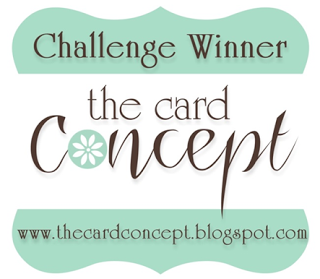 First up is a card for the current My Favorite Things sketch challenge. I pulled out the super cute MFT/Birdie Brown Rain or Shine stamp set and colored up one of the sweet little girls from the set using ZIG clean color real brush markers. 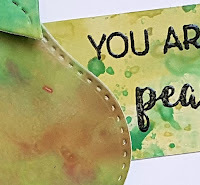 I used VersaFine CLAIR in Morning Mist for the stamping. Once she was done I die cut her with the matching die. I then watercolored up a small piece of watercolor paper with a dark blue from my Kuretake Gansai Tambi set and die cut a circle from that once it was dry. 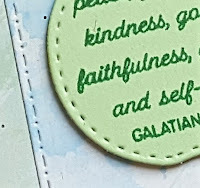 The little water splashes were stamped on the scrap left over from the die cutting the circle and then die cut as well. I used the MFT Mini Raindrop stencil to add raindrops using Ranger texture paste in transparent gloss. 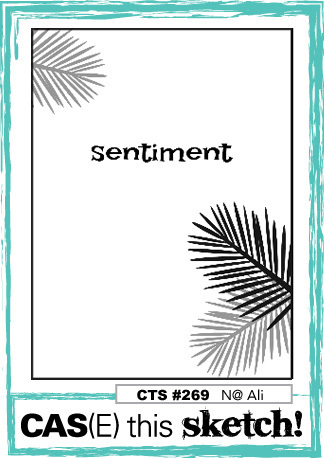 The sentiment was stamped on vellum with watermark ink, embossed in white and die cut with the MFT Slanted Sentiment die. Once the texture paste was dry I layered up everything on a white cardstock panel and adhered it to a dark blue cardstock base. The second card is for the April Altenew Inspiration challenge as well as Freshly Made Sketches. I had wanted to use my Chrysanthemum Build a Flower set, but the colors weren't working for me with the solid images so I fell back on my Coral Charm BAF set and did a little watercoloring using my Kuretake Gansai Tambi watercolors. I pulled my colors from the photos to get that softer look. Once they were dry I die cut the flowers with the matching dies. To bring in some of the dark blue I splattered my white panel with dark blue paint and embossed the sentiment on dark blue cardstock in white. Once everything was dry I layered up the flowers, leaves and sentiment per the sketch. To finish I added some Pretty Pink Posh sparkling clear sequins in two sizes for a little sparkle. 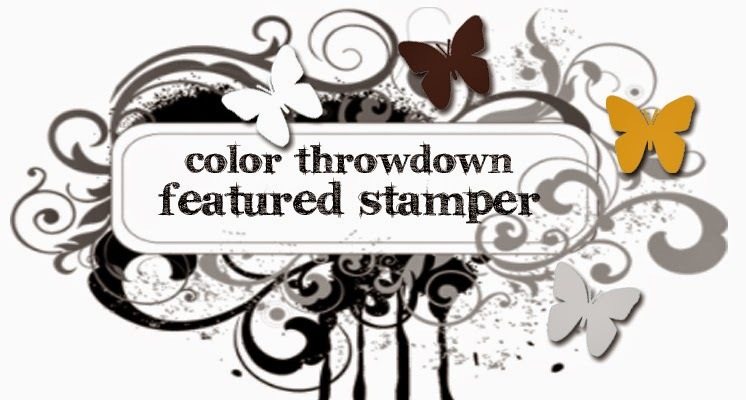 Will be adding this to the Simon Says Stamp Wednesday challenge of sparkle and shine. Hi everyone! Today is my final day of guest designing for My Favorite Things. Want to say another big thank you to My Favorite Things for asking me to guest design for them! Here are the cards that I made for my final post. 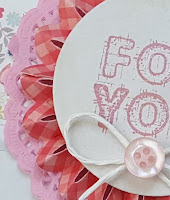 You can find out how I made them by heading over to the MFT blog. 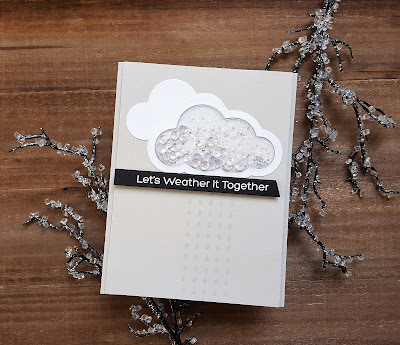 This was made with the Cloud Shaker die and the Mini Raindrops stencil. We were experiencing a lot of cloudy, rainy and gray weather when I made this card. Thankfully that weather has disappeared for the next few days. 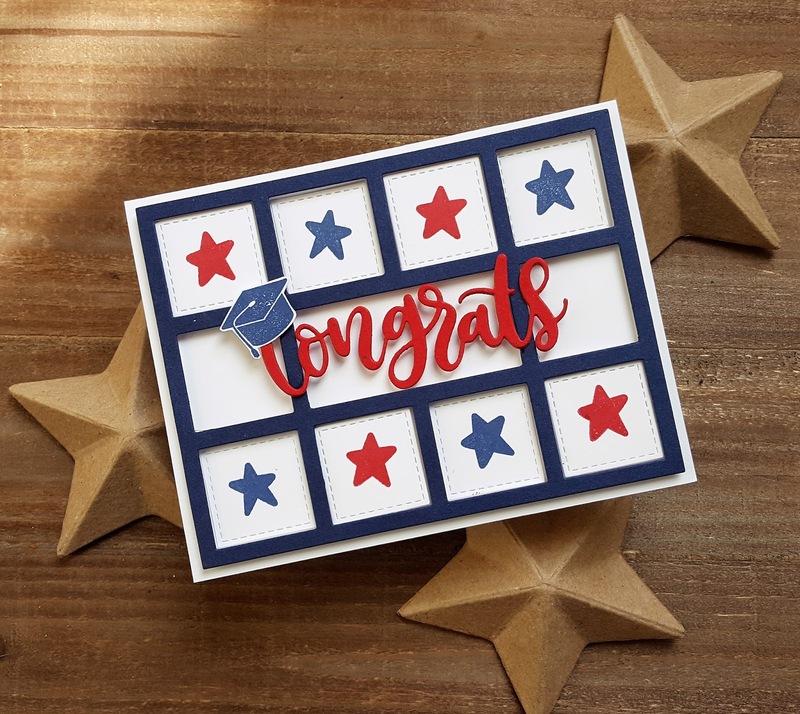 I made this card for my nephew who is graduating this June. I used the Horizontal Collage Cover-up Die-namics die, the Congrats Die-namics die and the Tassel Time and Star Graduate stamp sets. 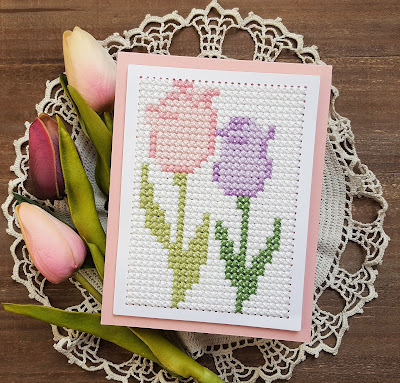 The final card was made with the new Cross-Stitch Rectangle Die-namics die. 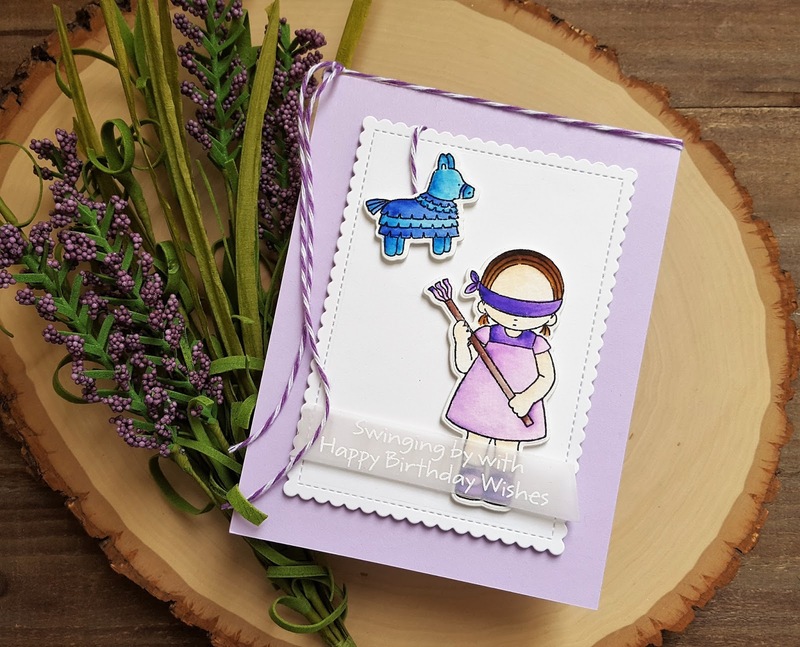 I used a patterned that is available on the MFT website for the card. Hope you will head over to the AJVD blog for a look at the full card and to let me know what you think. Have a great day! Hello!! 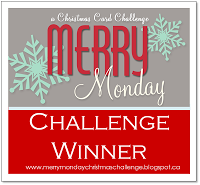 I have a couple of cards to share today for a few challenges. 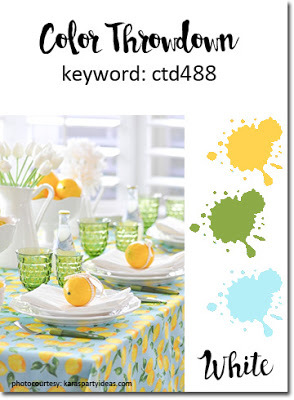 First up is a sunny little number that I made for the Color Throwdown and Freshly Made Sketches challenges. 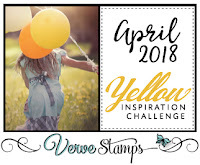 I'm also going to add it to the Simon Says Stamp Wednesday challenge to add texture. 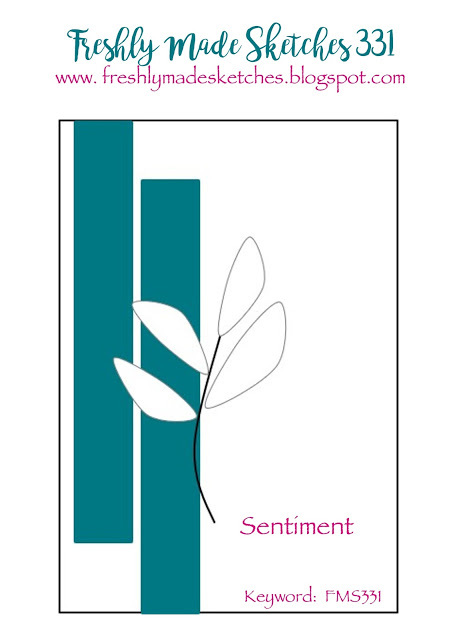 My texture is the embossed sentiments. 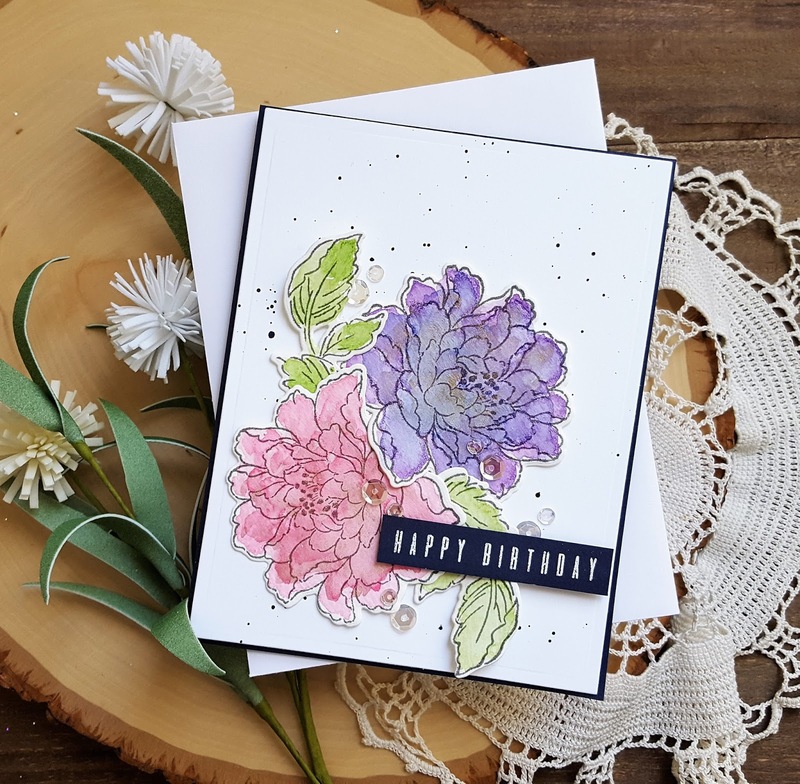 The flower and leaves are from the SSS Handwritten Floral Greetings and they were stamped in VersaFine CLAIR in Morning Mist and then watercolored. I trimmed them out when they were dry. 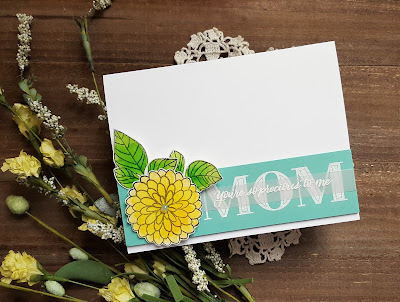 Cut a strip of aqua cardstock and embossed the word "MOM" from the SSS Mom Flowers stamp set in white. The sentiment was stamp on vellum and embossed in white as well. Everything was layered on a white cardstock base and I was done. 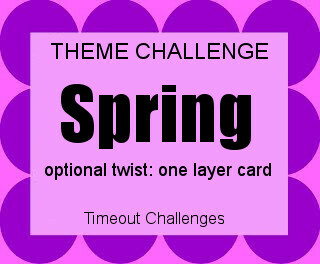 The second card is for the current Essentials by Ellen Pin-Sights challenge and the Time Out challenge of spring time. My peonies are growing quickly and will be in bloom in no time. Nothing says spring to me more than peonies in bloom! At least three of my peony plants have blooms in the color of the peonies on my card. I stamped the peonies and leaves from Mondo Peony in watermark ink on Arches hot press watercolor paper and then embossed the images in black. I then watercolored them with Kuretake Gansai Tambi watercolors. For the peonies I used a combination of carmine red and dark pink. The leaves were a combo of may green and mid green. Once they were dry I trimmed the out. I then colored some Canson watercolor paper with a dark blue and splattered it with black. 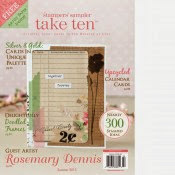 Once it was dry I die cut it with an A Jillian Vance Design rectangle die. 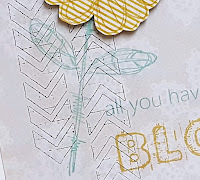 I placed the flowers on my panel to determine where to stamp the sentiment (from the EE Lovely stamp set) and then stamped it in VersaFine CLAIR Nocturne ink. The panel was adhered to a cardstock base and then I added the flowers. Hey friends!! 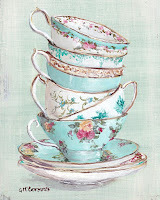 I'm guesting over at My Favorite Things today... yep... two days in a row!! Still pinching myself over this and it isn't over, lol! I will be guesting on the MFT blog next week, too!! Here are the cards that I have over on the MFT blog today. For more info about how I made them head over to the MFT blog. I love those fun pinatas, but my personal favorite is the second card. I'm not the best colorist out there, but I really like how my coloring turned out on this card! Wednesday with AJVD and MFT!! I hope you will hop over to the AJVD blog to see the whole project and to let me know what you think. 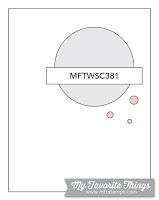 Now... you may have noticed that it also says MFT in the title. 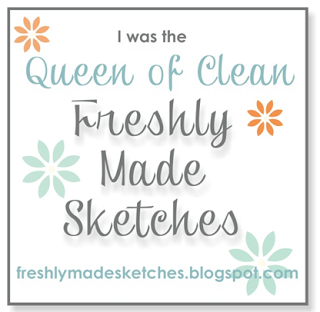 That is because today I am guest designing over on the MFT blog!!! 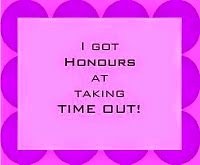 Eeekkkk!!! I'm so excited about this!!! 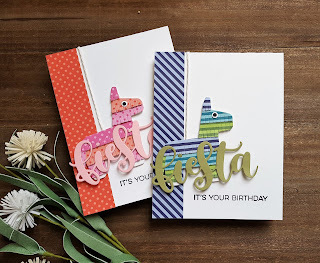 You can find out more about how I created these cards by hoping over to the MFT blog! 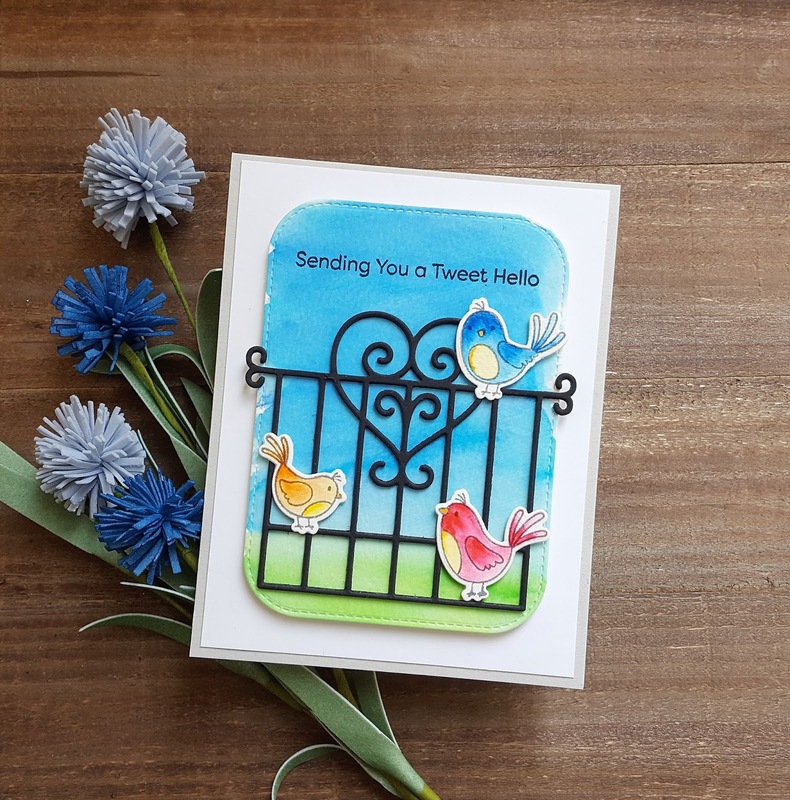 They are made with the new Tweet Hello stamp set and the Birdbath and Garden Gate Die-namics dies. Hope you have a wonderful day and thanks for stopping by!! Hey friends!! Today My Favorite Things is debuting a new feature called MFT & Friends and I am so excited because I get to participate and share with you some projects I made using products from the MFT April release! Make sure you head over to the MFT blog to see the list of other designers participating in today's event and to check out their projects. 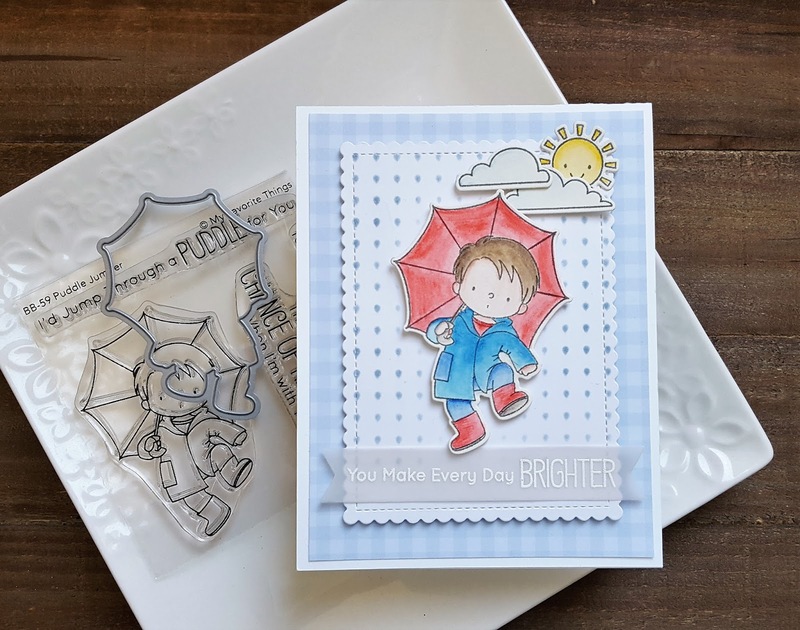 I'm sharing some cards today that use the Birdie Brown Rain or Shine stamps and dies, BB Puddle Jumper stamps and dies and the Mini Raindrop stencil. My first card uses the Puddle Jumper stamps and die. I have two boys and when I saw that cute little boy holding his umbrella ready to jump into a mud puddle it made me think back to when they were little and jumping in a mud puddle was something they both would have loved to do! I stamped the little guy in VersaFine CLAIR Morning Mist ink on Arches watercolor paper and then colored him with Faber-Castell Aquarelle color pencils. When he was dry I die cut him with the matching die. 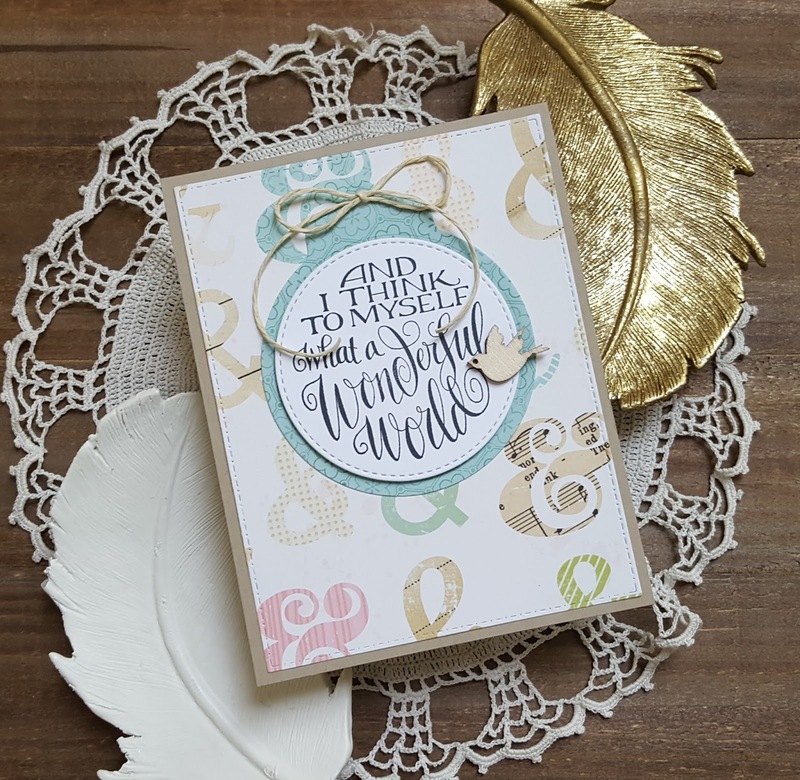 A piece of white cardstock was die cut with a MFT Stitched Mini Scallop rectangle die to stencil on the tiny drops with the Mini Raindrops stencil. Because I wanted the raindrops to look like they were falling all around him I die cut a positive image from white cardstock and adhered it to my panel with removal adhesive. I then stenciled in the raindrop using Stormy Sky (what else??) distress ink. The little sun and clouds from the Rain or Shine set were stamped in Morning Mist, watercolored and die cut. I then arranged everything on the panel. I used some light blue/gray paper from the now retired MFT Farm Fresh Gingham pad as a mat and then adhered my scene panel. Finished everything off with the sentiment that was embossed in white on vellum and then die cut with a now retired MFT Fishtail Flag Stax die. 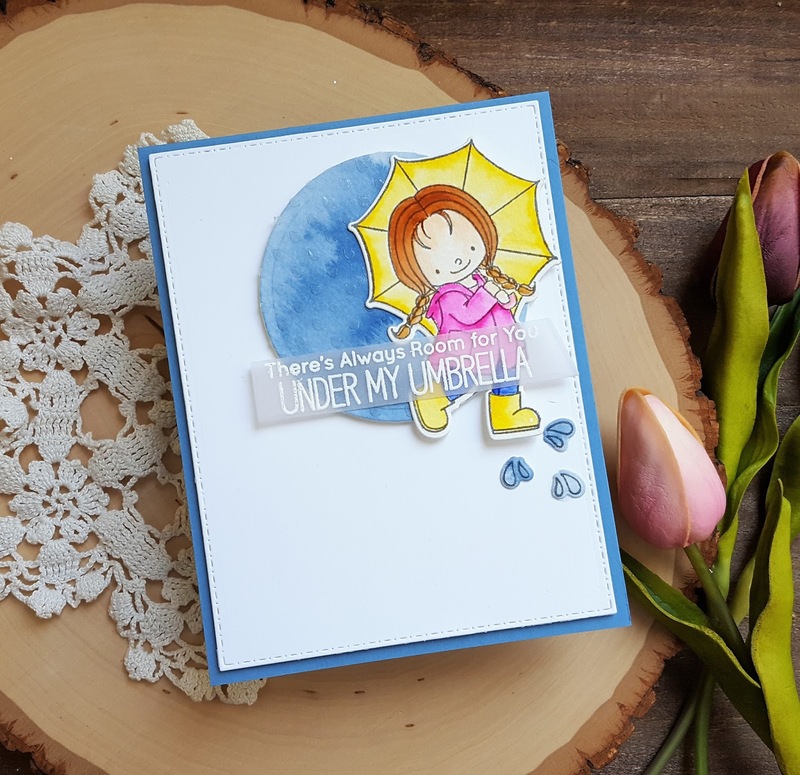 For my second card I just had to feature the cute little ducks that are in the Rain or Shine stamp set. They are just too darn cute. 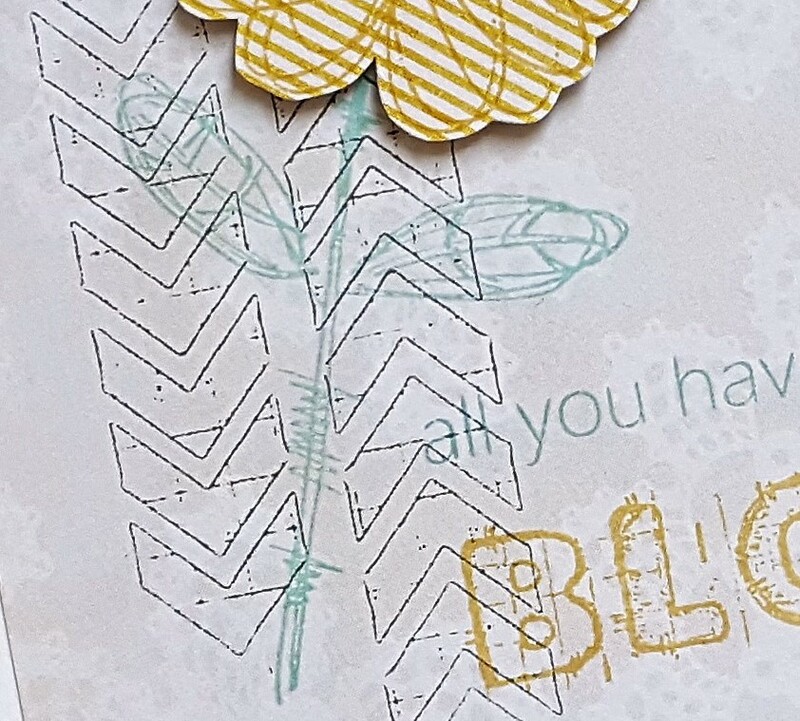 I stamped them on the light yellow polka dot paper from the MFT Dots & Stripes Sorbet pad using MFT's Daffodil ink. I had to stamp them multiple times so that the outline would show up. The same was done for the little sun. 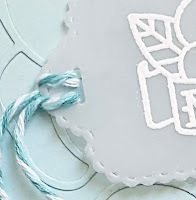 I used some of that light blue/gray gingham to stamp two puddles and three clouds using MFT's Blue Breeze ink. Everything was then die cut with the matching dies. I inked up a piece of white cardstock with MFT's Blue Breeze and Sour Apple inks to create the sky and some grass and then adhered everything to the card. To finish it off I added little tufts of grass that I created using the little top part of the piñata from the Pinata die set and some more patterned paper from MFT! Love it when you can stretch your dies!! 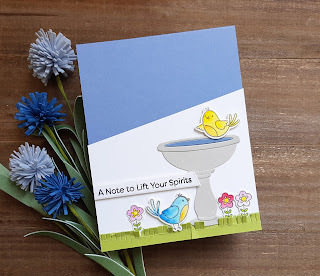 I hope you enjoyed my projects today and I want to say a big thank you to MFT for asking me to participate in the first ever MFT & Friends release! Hope you have a wonderful day! Hello!! Hope you had a wonderful week... we had lots of rain at the end, but hopefully that will clear up for the weekend. 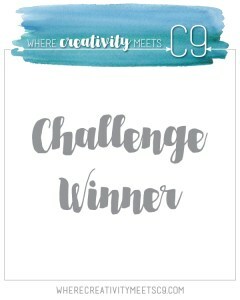 Been busy making things for something I have coming up next week, but took a little time out to make a card for a few challenges: Freshly Made Sketches, Color Throwdown and Simon Says Stamp Wednesday challenge. When I saw the FMS layout I was really intrigued by it and tried out a couple of ideas, but they didn't work. 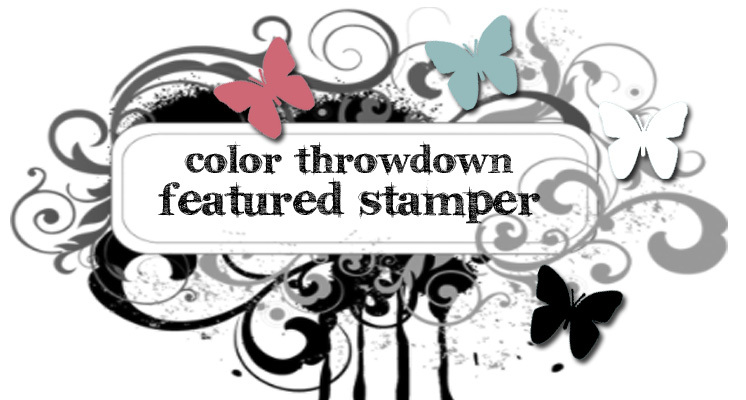 Finally settled on using an image from one of my favorite Stampin Up! sets called Kinda Eclectic and the poppy images from the Altenew set Painted Poppy. I had to do things a bit backwards by die cutting the images first and then stamping them. I started by stamping the outline in red and then adding the flower heads using pink. The leaf was stamped in two shades of aqua ink. 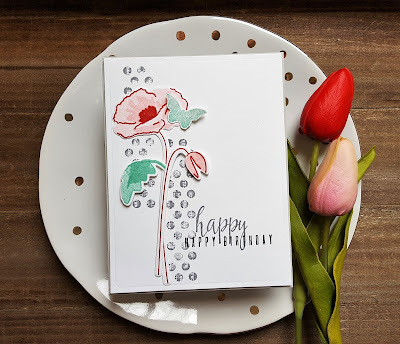 I used the image from Kinda Eclectic to stamp the two bar elements of the layout in VersaFine CLAIR Morning Mist ink and then layered the poppies and leaf over the top. 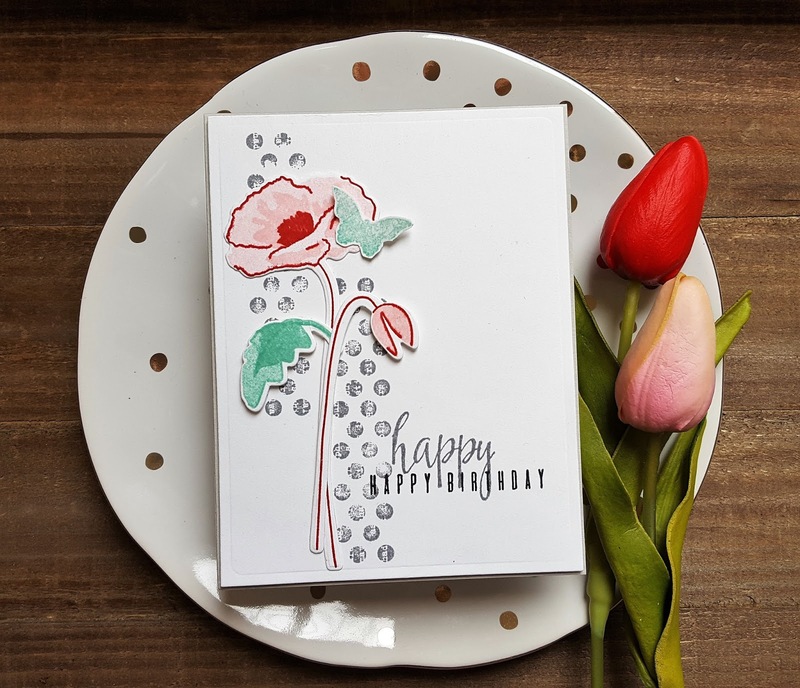 The sentiment was created by stamping the happy from the Painted Poppies set in the same gray ink and then adding the happy birthday (from the Altenew Trigonometry set) in VersaFine CLAIR Nocturne. I had meant to only stamp the birthday portion, but forgot to wipe the ink off of it before stamping. 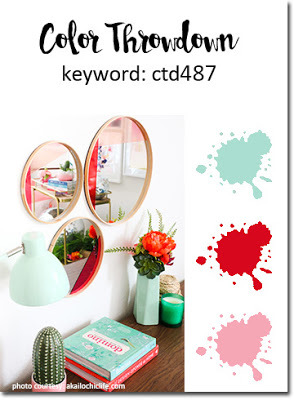 I hope you will head over to the AJVD blog for a look and to let me know what you think! Have a wonderful day! Hey there!! Hope your week is off to a good start. Mine is... my youngest is on spring break this week so we will be fitting some fun outings (had one today!) into our week. In between the fun I will be trying to get some projects made for some fun things I have coming up in the next week or so that I am super excited about... can't wait to share!!! 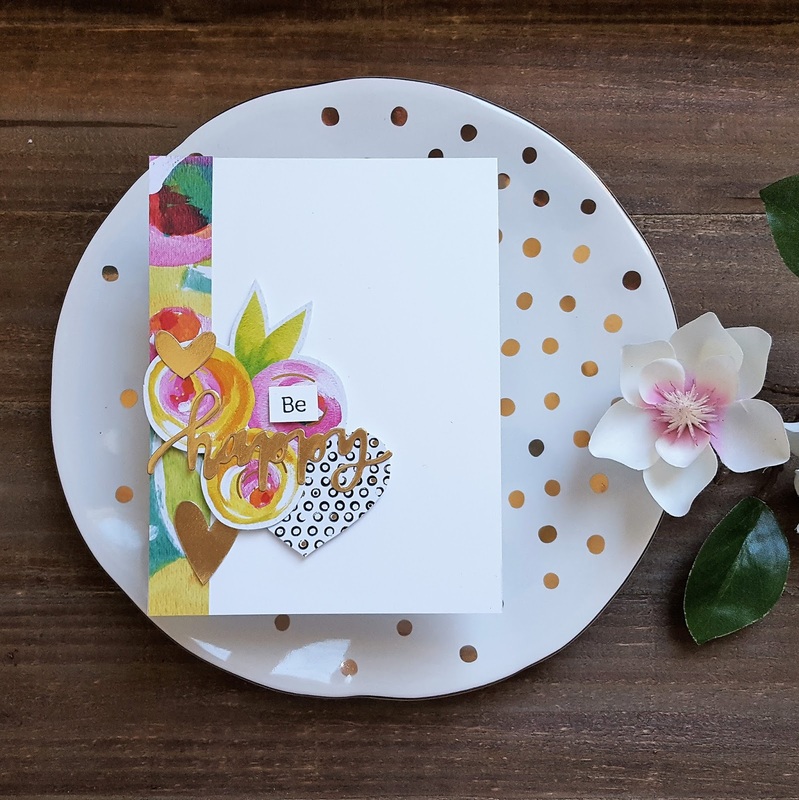 Today I have another fun card that I put together using paper embellishments and a little bit of paper from the Bella Blvd Make Your Make collection. This one is for the current CAS(E) this Sketch challenge and I will also be adding it to the Simon Says Stamp Wednesday challenge. The card pretty self-explanatory: Strip of paper along the side and then have fun layering up all the little embellishments. 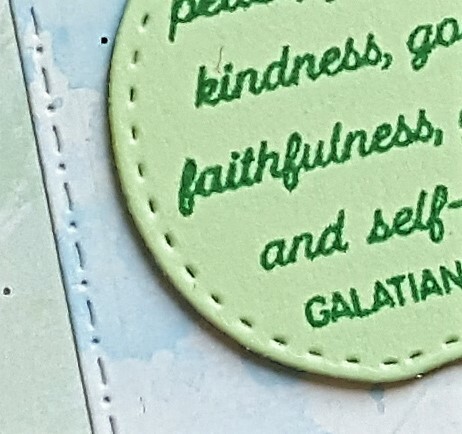 There is a tiny bit of stamping because the little word 'be' that came in the embellishment pack didn't actually look like the word 'be'. It looked more like 'he' and I didn't want any confusion so I just stamped the word on white cardstock in black, trimmed it out and adhered. Super simple, but I love it! !